I've got a very basic and neat enlarger by Ernst Leitz Wetzlar, presumably produced in the 1930s. There is no marking of the model name on it, but a Wetzlar leaflet published in 1930 lets suppose it is a Vitox. I unscrewed the lens to clean it from dust and found out there is no marking of the brand and name on it or anything else, but numbers of the aperture scale. 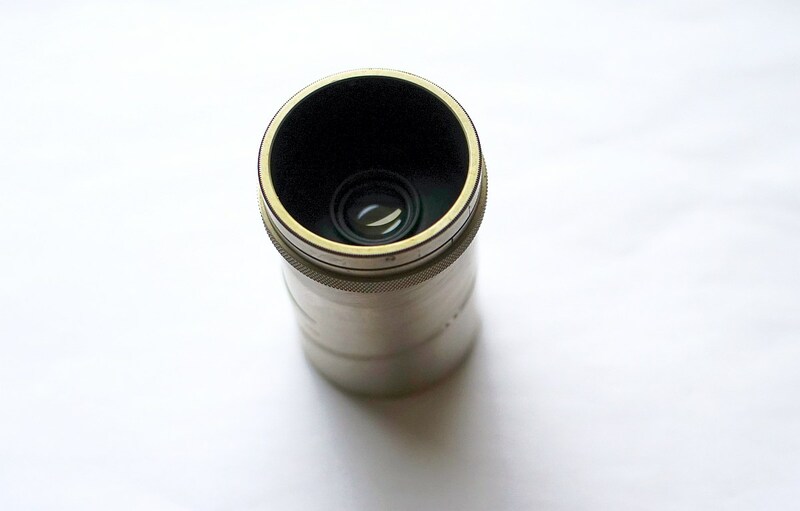 So, it is a no name Leitz enlarger lens. The aforementioned leaflet speaking on Vitox says just "a lens of 50mm with a relative aperture of 3.5". It looks like in that era branding with names was reserved for parts of higher grade enlargers. If my count of bulb reflexions is correct, the lens has 4 elements. Its iron tube is too long for Sony mount to reach any distance from the object which is situated further than at 20cm. So I could only try some macro shots. And I am impressed by the sharp and clean aspect of the image, as well as by the pop-up. 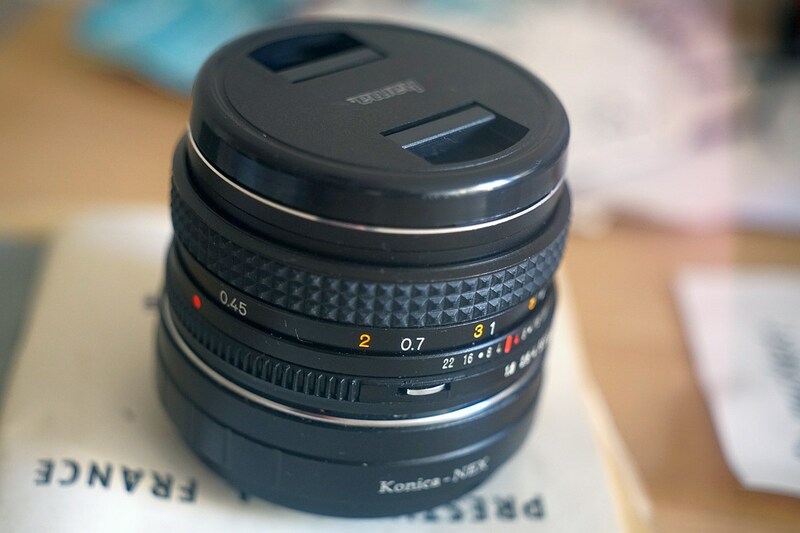 I'd say it is an excellent lens, with a very pleasing rendition, neater than the Soviet tessar-like enlargers. Due to freelensing here is some edge flare. But even in this case one may note the crisp rendition of details and a very good micro-contrast. 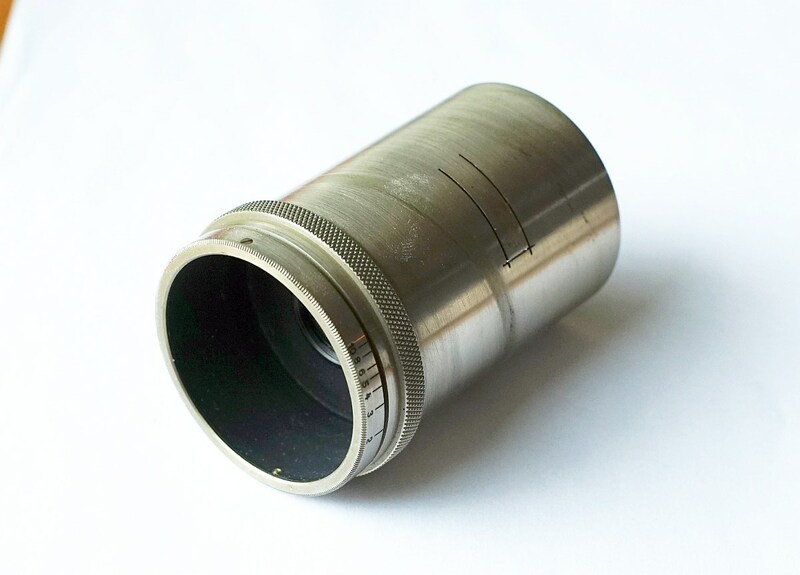 I don't wish to break the enlarger functionality cutting the "extra" metal of the lens' tube. At least before trying to use it for its direct destination. But I am quite curious about the lens type. I will appreciate much your hints about its name and/or its optic design. The Varob was the Elmar 5cm F3.5 mounted in a rigid 39mm barrel with the aperture markings of 1 through 10. 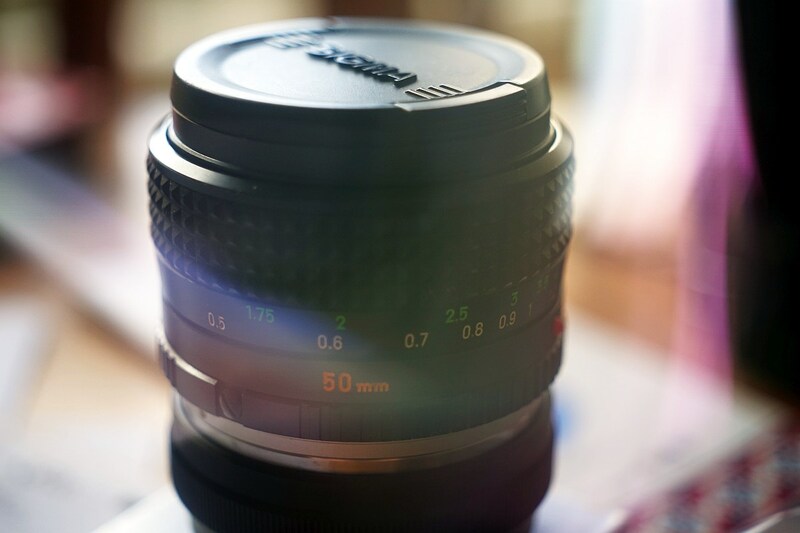 Your lens looks like the optics of the Elmar in a different tube. I took a Varob apart and made it into an M-Mount lens using the tube of an Elmar with bad glass. The images are what you would expect of an Elmar- it was not optimized for the enlarger. Later generation Leica enlarger lenses were optimized for that purpose. I doubt the tube is iron, it's probably brass that's nickle plated. I agree, it looks like that for me, too! Thank you for your judgements, fellows! That gives a temptation to cut the tube. But I am still keeping myself away from that, as it will be irreversible and will disable the entire enlarger. The Varob has a set screw that holds the optical barrel into the tube. It is accessible through a small hole in the side of the tube. I would be inclined to look for a set screw, either through a hole or perhaps the cut tab on the tube. Thank you for the hint, fiftyonepointsix. I only found two tiny screws that retain the aperture ring. I presume that unscrewing them and dismounting the ring gives access to the lens retaining plate or screws. Sometimes the aperture connection might be a bit tricky, so I will experiment later, with all the necessary precautions. I will give some news here then.